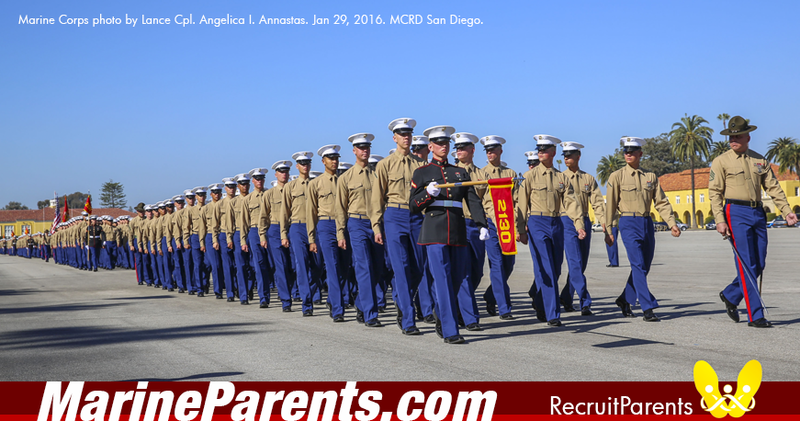 When parents learn that their son or daughter has enlisted, or is contemplating enlisting, in the Marine Corps, they may go into "This can't be happening" mode - particularly those with little or no military familiarity. An infinite number of questions may immediately arise, and sometimes there are no answers. Often, there is a modicum of introspective soul-searching. Then the quest for facts and information begins. Fortunately, most recruiters know by now that directing future Marine parents to MarineParents.com can be extremely beneficial and informative. Once connected, anxious and sometimes bewildered parents can find pleasure and reassurance in knowing that they are not alone and that they have the backing and support of thousands of MarineParents.com volunteers and other family members who have gone down the same uncertain path. Monica and Ernest Smith*, Antioch, Calif, said they were "puzzled" when they learned their 18- year-old son, Joshua, wanted to become a Marine. Monica, who describes herself as a "non-military mom" wondered, "Why the military and why the Marines?" Through a link on the MarineParents.com website, while Joshua was in boot camp, Monica was able to communicate via social networking with other Fox Company, Platoon 2122, recruit parents. She found the interaction to be therapeutic, comforting, educational, and enlightening. "MarineParents.com made it [all] possible," said the thankful mother of the young Marine. Once the Smiths were part of the MarineParents.com family, they went "all-in" and started purchasing merchandise through the MarineParents.com online store. They ended up buying mugs proclaiming "My Son, My Hero," flags, clothing, banners, t-shirts, earrings, and other items for themselves and their extended family and friends. "The Marine Corps flag that we bought online...is raised under our American Flag each morning," Monica proudly proclaimed. "We're now a Marine Corps family." At recruit graduation ceremonies at MCRD San Diego on 5 April 2013, PFC Joshua Smith, a talented runner, wrestler, and Eagle Scout, was introduced as the Platoon 2122, Fox Company, Honor Graduate. The "Rifle Expert" requested, and was granted, an 03 infantry MOS. As her son continues his USMC training and prepares for upcoming deployments, Monica Smith knows she can "connect and share" with other Marine Moms and Dads. "I'm thankful for the connections facilitated by MarineParents.com", she said. "No one can do this alone." *For the protection and privacy of the family their last name was changed.